INIIML to me isn't just about the clothes and physical pieces we buy and surround ourselves with, but also about experiences. Those 'I need it in my life' experiences can be truly as if not more so important than the physical pieces and this is something I wanted to share with you all today. 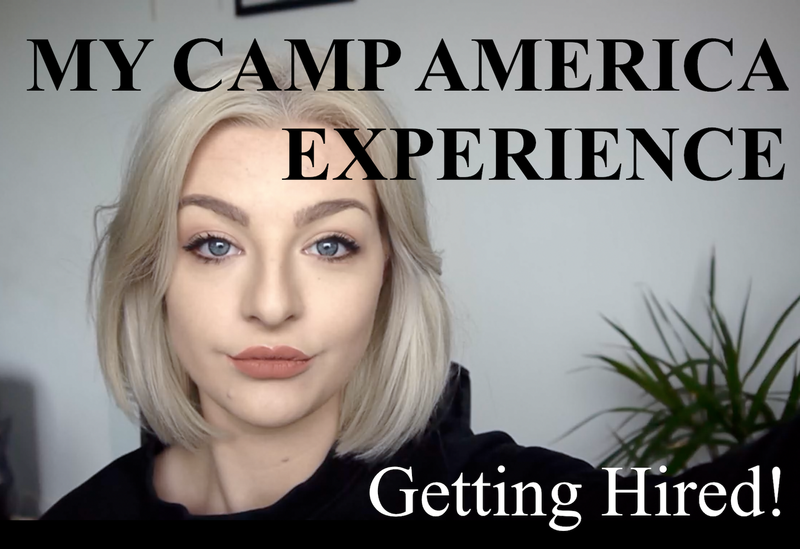 I did promise a separate post all about Camp America and what I did here so here is a Vlog I filmed all about the my experience of the hiring process and costs. As I mentioned in the video, I did earn a higher wage working in California, but please please don't just take that as a reason to focus your camp selection to be in CA. There are some truly incredible camps all across the states including New York and Connecticut so choose based on the camp, their values and your overall experience - not the money. Truth be told I had no idea about the higher wage until I actually got to camp because the director didn't want people applying here just for the money - and rightly so. I also touched on what my role was at Camp, but i'll try to go into greater detail in what that actually made my day to day look like in terms of a leadership role and how I trained my group of kids to become camp counsellors themselves; whilst also supporting the running of camp - possibly in another Vlog. As I very clearly rambled on about at the end of the video, camp changed my life, and I don't say that without meaning it. I met the most incredible people and as cliche as it sounds I really did find myself in a way I never could have without 'camp-life'. I am humbled to have had the experience I have had and hope that I may be fortunate to do it all again at some point in the future - but I guess a lot of that depends on life in the meantime doesn't it.